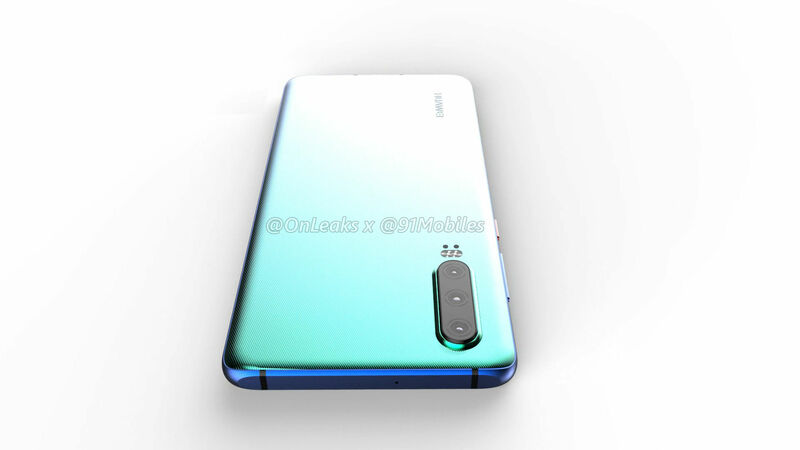 The variant in the images is a gorgeous looking sea-blue, with Huawei's trademark gradient finish. Coupled with a contrasting red power button, it's quite the looker. 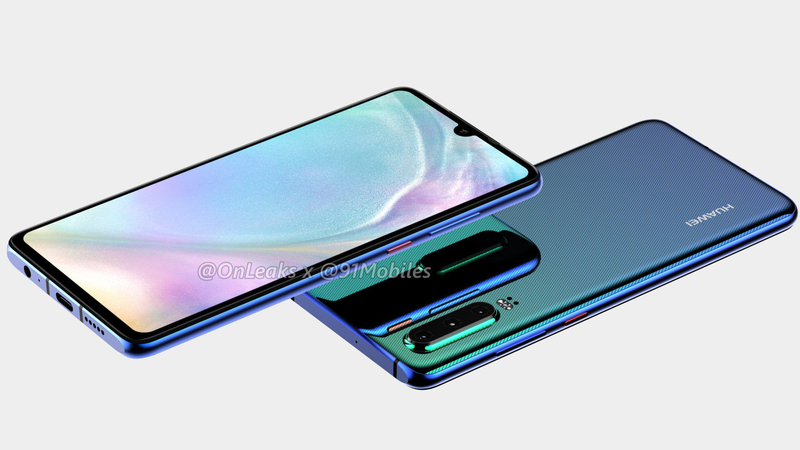 The waterdrop notch on the P30 looks slightly smaller than the one found on the Mate 20 series, and there's no fingerprint sensor visible on either side, so it's probably in the display. 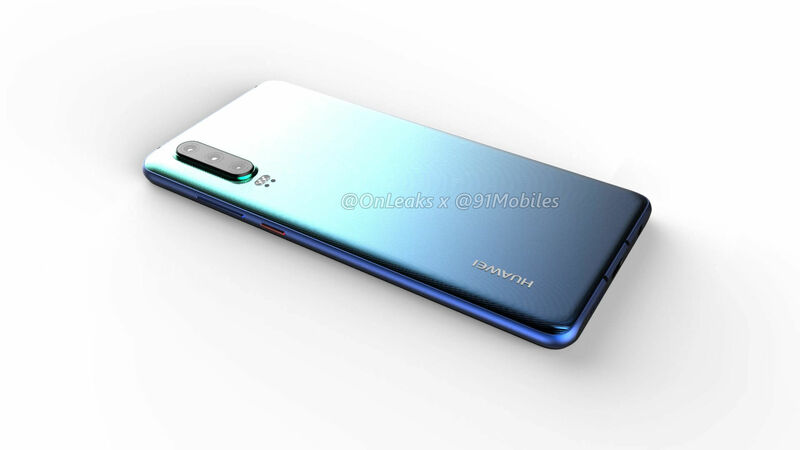 One pleasant surprise is the adding back of the 3.5mm headphone jack that was missing from the P20 and Mate 20 series. 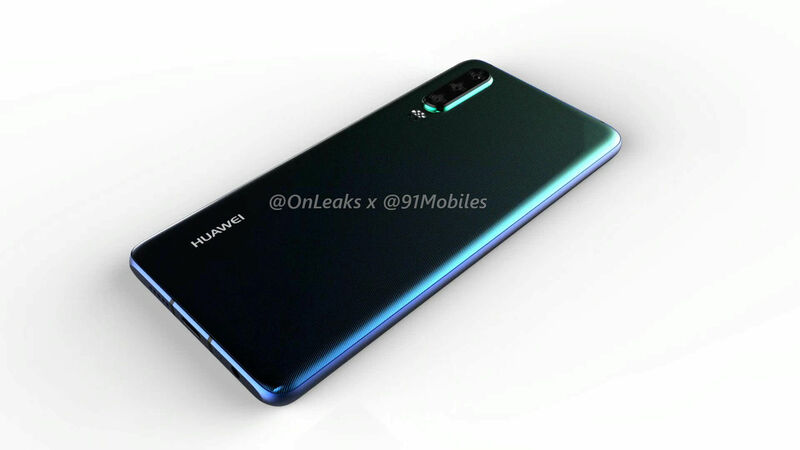 On the back, there are three cameras. 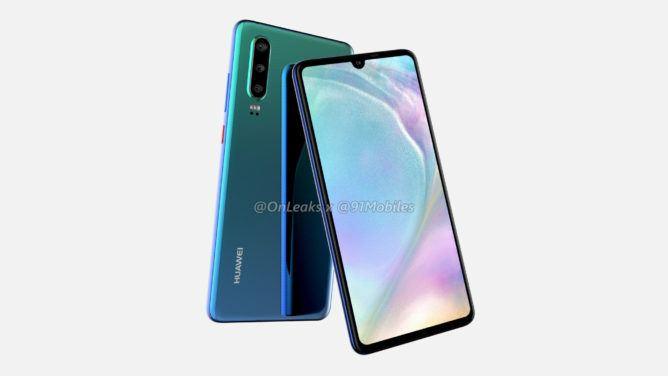 If we go by the @evleaks tweet from a couple of weeks ago, the triple-lens camera includes a 40-megapixel sensor and 5x lossless zoom, with the third lens probably being wide angle. For comparison, the Mate 20 Pro also had three lenses with a similar setup, though the lossless zoom was just 3x. 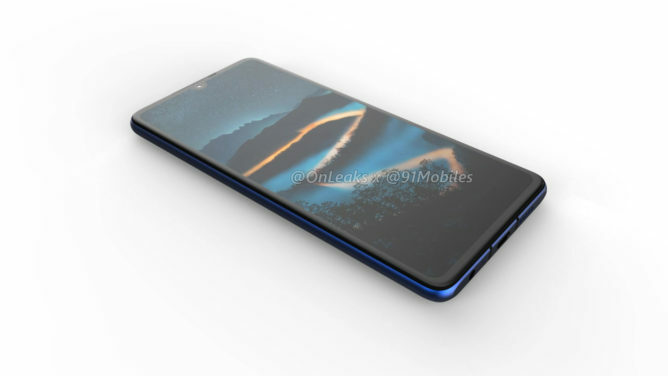 The P30 is expected to have dimensions of 149.1 x 71.4 x 7.5mm, with a screen size of around 6 inches. A width of 71mm/2.8" is quite decent for one-handed usage in our opinion. The phone will likely be powered by the same Kirin 980 from the Mate 20 series and will run Android 9.0 Pie with the EMUI 9.0 update. 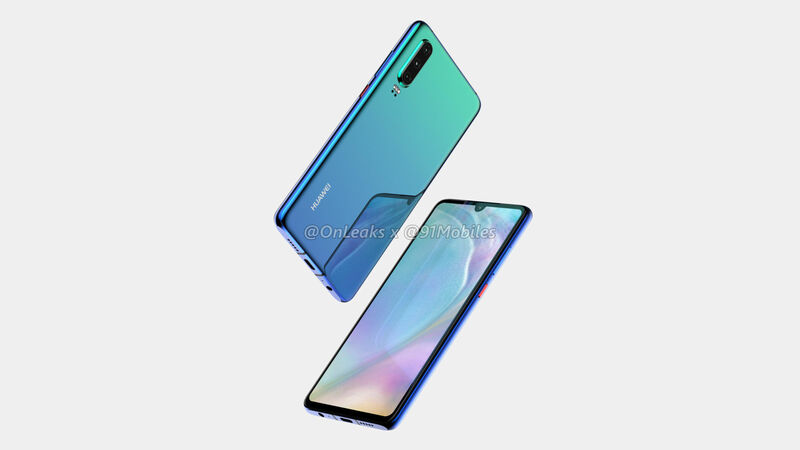 Going by Huawei's March-October release cycle, the P30 is likely a couple of months away from release. 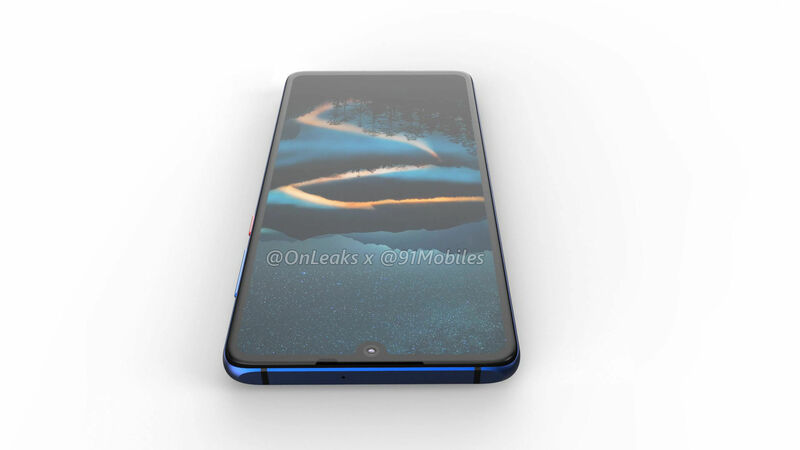 The Chinese company could announce the phone (and its Pro sibling) during MWC, at the end of February.